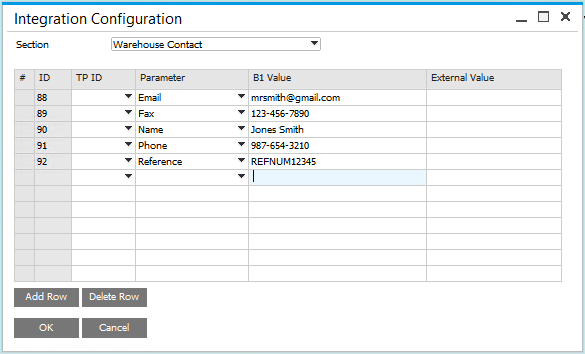 This configuration option is used to define warehouse contact information. The Integration Configuration screen can be opened in SAP Business One: SPS Integration > SPS Integration Setup > Integration Configuration. See the screenshot below for an example of mapping Warehouse Contact. Warehouse contact information can be mapped as shown.